I'm reviewing my bookmarked threads this afternoon. I see this thread is now a month old, but so far this event has not been added to Hayley's Schedule for 2007. It seems fairly definite, but has Steve Abbott confirmed Hayley's participation yet? Thanks for the reminder but no, he hasn't. I don't like to pester him too often with individual enquiries but I will do so before long. Hayley's appearance at the Eisteddfod is now confirmed for Friday 13th July. There are two tickets for the 13th July 2007 on E bay at the moment. It went something like " ...Jose Carreras, Joan Baez and also Hayley Westenra"
As Dave would say - GRRRR!! Nah, they just saved the best to last! Songs inspired by Hayley Westenra's gran will be unveiled by the teenage opera star when she performs in North Wales this summer. The 19-year-old Christchurch star and Faenol Festival veteran revealed the importance of her gran in her life, as she promoted new CD Treasure in her native New Zealand. She says: "It's a very personal album. It includes songs like Danny Boy which my gran picked up on her travels as a singer and then passed on down to me. "There are also songs I myself have picked up on my travels and a few self-penned ones too. I think that whilst it's important to keep old music alive, it is also important to keep on creating new music to keep us moving forward." It's been a busy time for Hayley. This week she sang on a New Zealand TV show Dancing With The Stars, and as we talk is due to sing the National Anthem at the dawn Anzac Day service. Tomorrow she's off to Australia then the US for her month-long Celtic Woman tour. Hayley is looking forward to returning to North Wales, this time for this July's Llangollen International Eisteddfod. "My repertoire is still yet to be finalised, but I will be singing songs from my three albums: Pure, Odyssey and Treasure," she said. "I believe I will also be performing with the Tower New Zealand Youth Choir which is very exciting as I have friends involved. It will be so cool to be performing with them on the other side of the world. "The Eisteddfod should be a lot of fun...I can't wait. North Wales is so green and beautiful. In fact, it's quite similar to New Zealand in many ways. The people are very friendly and hospitable too and I am always made to feel like I am at home." Spare time is rare, but she scarcely needs it. She admits: "I don't have a great deal of time off, but fortunately for me my job is something that gives me great pleasure and fulfilment. "If I need to chill out my first port of call is music, but I do also enjoy reading a good book, watching old, romantic movies, going out dancing and hanging with friends too." Hayley Westernra performs at Llangollen International Eisteddfod on July 13. Thanks Jon for posting the article. I had originally posted it HERE but you are right, it makes more sense to put it in this thread too as it is closely related to the Eisteddfod concert. Have I pipped Stephany for once? WHEN the Tower New Zealand Youth Choir embarks on its international tour to Canada, Spain and the UK later this month, Gisborne will be represented. Belinda Maclean, who is studying in Wellington, will leave with the choir on June 27 on a month-long tour. The 22-year-old is a second soprano and has been a member of the choir since 2005. The tour will take in festivals, competitions and cultural events. The choir will participate in the international choral festival, Festival 500, in Newfoundland, Canada. They will then go on to compete in international choral competitions at the International Musical Eisteddfod in Llangollen, Wales and in Cantonigros, Spain where they have been selected to represent New Zealand. At the Eisteddfod the choir will have the opportunity to perform in a concert, which will feature NZ soprano Hayley Westenra. While on tour the choir will also present concerts in Toronto, Niagara Falls, Barcelona and London. Belinda, who is currently studying for an honours degree at Victoria University, majoring in chamber music, said she was "excited" about the tour. While she had travelled to the United States and Canada as a member of the New Zealand secondary students choir, this would be a completely different experience. "It really will be just so amazing and I’m looking forward to the competitions in Wales and Spain," she said. "But Spain will be particularly good because it is such a different culture. It will be an awesome experience and just the perfect excuse to travel the world singing. I know that I am going to learn so much." Belinda has had to fundraise hard for the trip with each member having to come up with $4000 and $1000 per member regionally. She said she had received tremendous support from people in Gisborne, particularly at a fundraising concert she performed here at Easter. Belinda is eligible to sing for the youth choir up until her late 20s and then she will have to reconsider her options. However, she is no where near starting to worry about that. "The next step is some pretty top quality choirs which are difficult to get into but I might audition," she said. "I haven’t really decided what I want just yet but I do know I want to continue singing. "Next year I am looking forward to taking a break and catching up on a few things as life has been pretty full on this year. I try to prioritise friends and family but music is good at taking over." I added a link to the online article. (c) The Liverpool Daily Post & Echo Ltd, 2007. Singing star Hayley Westenra is the first to sell out for this year's Llangollen International Eisteddfod gala evening concerts. Four thousand tickets have been snapped up to see the New Zealander take centre stage at the Royal International Pavilion on Friday, July 13. Demand is so great Eisteddfod organisers will set up a giant screen outside so a further 1,000 fans can enjoy the concert on the field. Hayley, 20, has sold out ahead of legendary tenor Jose Carreras performing on July 15 and American folk singer Joan Baez who opens the big concerts on July 10. Eisteddfod chiefs said tickets for the other two stars were selling well and they are expecting to erect "house full" in three weeks time when the event starts. Tickets for Hayley's big screen enclosure are priced at just £5 and also give free admission to the@Six Concert with Celtic music exponents, Yn Y Fan which starts at 6pm. With the Children's Day theme on Tuesday July 10 the festival has also secured the masked Tibetan monks of Tashi Lhunpo Monastery. They will perform and conduct workshops in their rituals, dances and chants for the 5,000 primary school children set to attend. New Zealand singer Hayley Westenra's concert at the Llangollen International Eisteddfod on 13 July has become the first of the 2007 event's evening gigs to sell out, with 4,000 tickets sold. Opera sensation Hayley Westenra is set to play to a full house in Llangollen. Organisers will be putting up a giant outdoor screen to allow more fans to see and hear the New Zealander's performance at next month's International Eisteddfod, after all 4,000 tickets for her concert, on Friday, July 13, sold out. The screen will mean 1,000 extra fans will be able to see the show from a special enclosure for £5 a ticket. The 20-year-old's concert has proved a faster seller than those of folk legend Joan Baez, who opens the Eisteddfod on July 10, or superstar tenor Jose Carreras, who will play the closing gala performance. But Eisteddfod bosses say they expect those shows will sell out well in advance too. 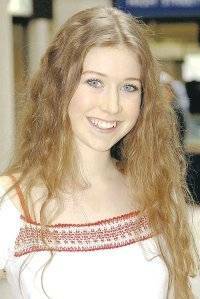 Hayley Westenra is New Zealands singing sensation and loves flying the flag for her country. The 19 year old from Christchurch has topped the UKs classical charts and when she appears in Llangollen on Friday evening, July 13th she will share the stage with the Tower New Zealand Youth Choir – past winners of the Choir of the World competition. Apart from singing she finds time to serve as a UNICEF ambassador and has recently been nominated as one of the 10 outstanding young people in the world. She remains the UKs most popular downloaded classical artist. There isnt a brighter or nicer young star anywhere.